Seventeen artists from nine countries will be featured in the inaugural edition of Artquake Istanbul 2014, which will take place at the Beylerbeyi Palace from the 1st – 7th of September. The event will be opened on the 1st at 6:00 PM with a ceremony and cocktail hosted by the Mayor of Uskudar, Mr. Hilmi Turkmen. 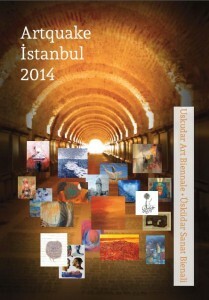 Invited guests include among others members of the Diplomatic Corps and the art community in Istanbul. Selected artworks in the exhibition were not based on any theme to give more freedom for artists to showcase their talents with their techniques and concepts. Notable artists like Bdoor Sudiry from Saudi Arabia who won the Leonardo Art Price during the 2012 London Arts Biennale, Fauzia Minallah, a peace activist, filmmaker and painter from Pakistan and Raquel Barnatan a Spanish/ Argentinian prize winning painter who is also known for designing jewelries, are among the participants. Rowena Martinez Ulayan, a multi awarded artist who twice won the Anglo-Italian Academy of Art Award at the Chianciano Art Biennale (2011) and London Art Biennale (2012) heads the organizing committee. She believes this activity provides a platform for artists to share their talents to a wider audience. More importantly, these ‘prisms of expressions’, may bring inspiration to everyone. She says: ‘Art is the soul of a society and an inspired society will never create war’. She hopes Artquake will be a harbinger of Peace to everyone. Other noted international artists include Ewen Macdonald from the UK, Bryan Erwin Utchanah from Mauritius, Norge Reichenbach a Swiss Filipina Sculptress, and Andres Zarate from Chile. Works of Turkish emerging artists Senem Aydin, Fatma Ayhan, Ozen Bozdag, Behiye Kepir, Murat Kuçukkayali and Hatice Sonay will also be on the show. International Forum of the Arts, the organization behind Artquake Istanbul 2014 hopes this event will be repeated twice a year in Uskudar, and will attract more artists in the near future. In its initial run, one of the greatest limitations the group faced was time. Many of their artist colleagues from abroad were not able to prepare their works and travel to Istanbul given the three months period between the announcement of the event and the deadline for submission. A number of international artists regretted not to be able to participate this year but look forward to the next edition of Artquake. The 2015 edition of Artquake will be in Kyoto and selected artists from Istanbul will automatically qualify for the Kyoto edition.